With seniors in the midst of writing college essays and attending college representative visits and juniors studying for standardized tests, the lesser-known resources of the College and Career Center are often overlooked. 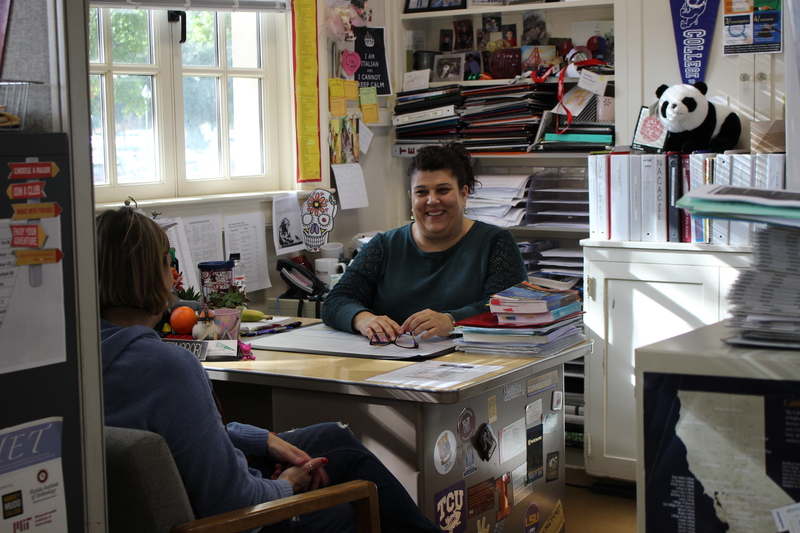 Especially given recent expansions, such as hiring new college counselor Andrea Bueno, students should use the CCC more due to the wealth of free college advising services. These resources include helping students manage projects and providing guidance on the application process. The CCC services are also more accessible than a personal counselor, which can cost thousands of dollars. While finding space in a student’s schedule for these tasks takes planning, using CCC advisers allows students to get individualized advice and essay feedback without even having to leave campus. And with thousands of colleges in the United States alone, the experience of the CCC advisers can help narrow the search and help students figure out which type of colleges are suitable for them. The CCC can also serve to guide students through the logistics of the college process, such as determining deadlines for college cover sheets, planning which SAT Subject Tests to take and answering questions about college interviews. Finally, the CCC can help students navigate other paths, such as gap years, community college, getting finding employment and working in the military. Thus, Verde encourages students to take advantage of the resources offered by the CCC staff because they are eager help and provide support students as they embark on the next chapter of their lives.